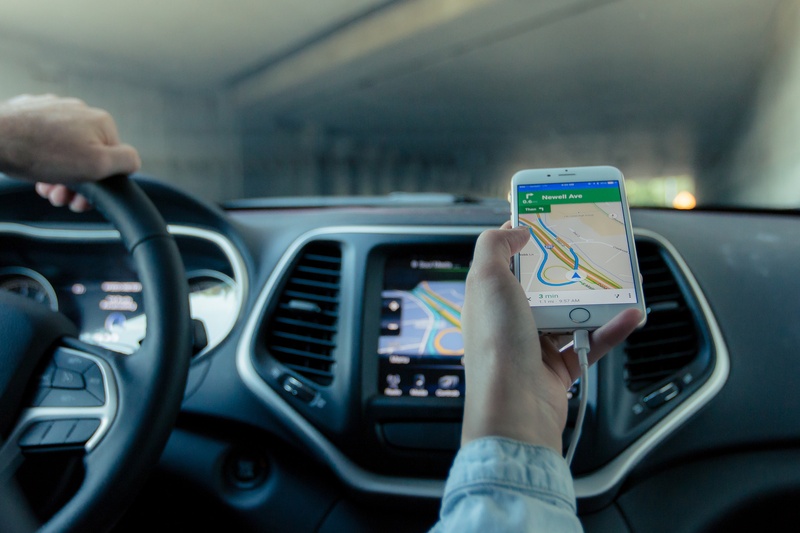 Have you ever noticed that your smartphone loses charge over a long car journey, even when you’ve had it plugged in to the cigarette lighter? Or that your phone charges way slower than it should? This happens when you’re using the wrong charger – one that provides too little power to your device. 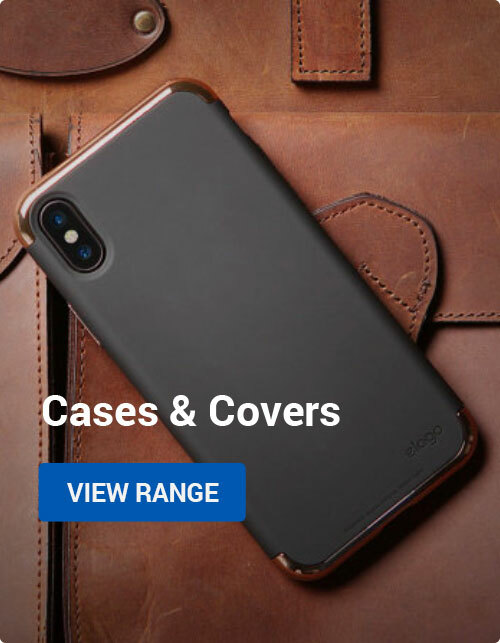 In this article, we’ll reveal how you can find the right charger for your device, and two more things you can do to ensure that your device charges as quickly as possible. 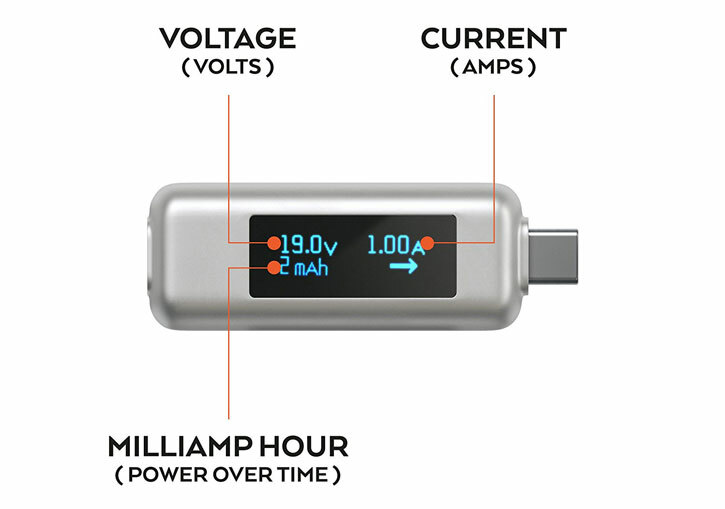 An amp is a measure of how much electrical charge is passing through a point in a given time. The higher the number, the faster your device can charge. Amps are appreviated as ‘A’, while milliamps are ‘mA’. 1A = 1000 mA. The amount of amps supported by a given device is called its amperage. Got it? Right, on we go. A charger* is a device that re-energises your mobile device’s battery. For simplicity’s sake, at Mobile Fun we use the term to encompass both the charging cable and the charger itself (which sits between the cable and the power source), as these are typically sold as a one piece item. 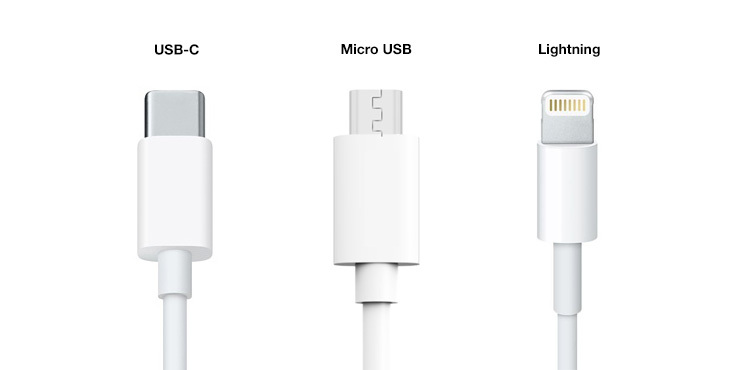 Chargers usually come with one of three standard connectors – USB-C, Micro USB or Lightning. Other connectors, like Mini USB and Apple 30 Pin, are only seen on older devices. USB-C is also called USB Type-C. This ovaloid connector can be inserted either way up, and is found on Android and Windows mobile devices made after 2015. You can also find USB-C on some modern Mac and Windows computers. 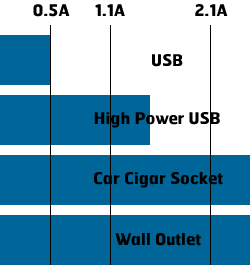 Micro USB was the most popular connector for non-Apple mobile devices and accessories made between 2008 and 2016. One side is wider than the other, making it look like a squashed semicircle. Lightning is a connector used by Apple’s mobile devices. It sports prominent gold lines on either side of its slim plug, and it can be inserted either way up. Mini USB was found on older devices like sat navs, cameras and phones produced before 2008. Its connector is shaped a bit like a trapezoid. Apple 30 Pin was used for Apple’s mobile devices between 2003 and 2012. Its shape is a thin rectangle, about seven times wider than it is tall. When you’re buying a charger, it’s important to get the right kind of connector for your device. The important thing to realise is that different chargers can charge at very different rates, despite having the same connector. 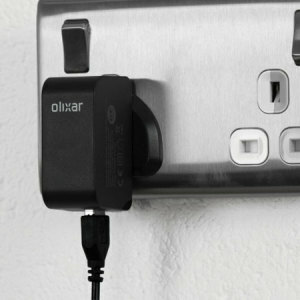 Bigger and more powerful devices will require chargers that operate at a higher amount of milliamps. 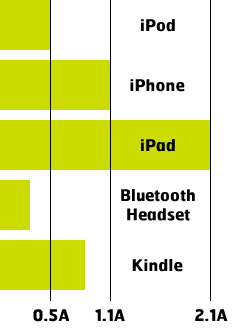 For example, an iPhone will require 1.1A, while an iPad will require 2.1A. If you try to charge an iPad using an iPhone charger, you will find that it charges much more slowly or doesn’t charge at all! The other way around isn’t as much of a problem. If you try to charge an iPhone (1.1A) using an iPad charger (2.1A), then the iPhone will just charge at 1.1A, although it might get a little hotter than normal. Even if you charge an iPod Nano (0.5A) with an iPad charger (2.1A), nothing bad will happen. If you buy a new charger, it’s important to ensure that you get one that provides at least as much amperage as your device needs. 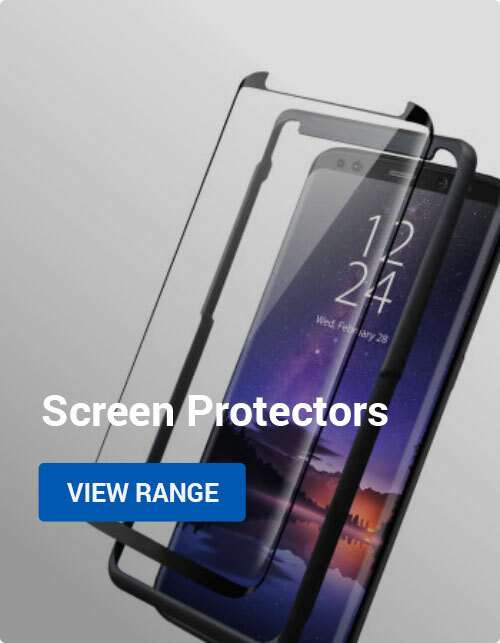 On Mobile Fun, this information should be in the title of each product. Some devices use proprietary ‘fast charging’ standards in order to charge your phone faster when using certain accessories. The most common is Qualcomm’s Quick Charge, which has multiple versions and is used by many Android phone makers including Samsung, Sony and Huawei. 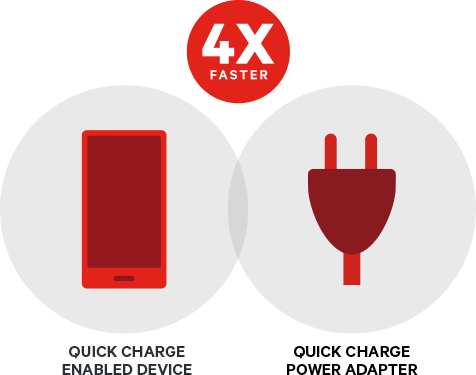 For more information about this, check out our guide to Quick Charge. In general though, if your phone has Quick Charge support, you can get a matching Quick Charge charger and get much faster recharge times. Once you’ve got the right charger for your gadget, the next consideration is the power source. While most outputs provide enough power, some — like a USB 2.0 port on a computer — won’t provide enough, even if you’re using the perfect charger. If you’re using a wall socket, there’s more than enough power on tap to charge any mobile device – up to 13A. It’s a similar situation in a car’s cigarette lighter socket, which typically provides up to 12A. USB ports that you’d find on a computer are a little more complicated. Standard USB ports will only provide 500 mA, but there are also special high power USB ports that provide up to 1500 mA. However, it’s difficult to know which is which at a glance. Generally, the most important thing to remember is to use wall outlets and cigarette sockets when you can, and USB as a last resort. There’s one last little thing that can put a hamper on full power charging is using a dodgy or cheap cable. While the USB cables that come with modern smartphones are good enough, some cheap cables can’t tell the difference between a wall socket (AC power) and a USB port. If you’re plugging in your smartphone to the wall or a car charger and it still reads as USB, you’ll be limited to just 500 mAh – about half of the power that you should be getting. Other times, cables with insufficient shielding or other components will cause noticeable declines in charging speed, which may be signified by your device not stating ‘Fast charging’ as it should. If this happens, you need to replace your cable or charger with a better one. You can test USB-C cables with this Satechi Power Meter; for other cables you may need to take charging time measurements yourself or use an app on your phone to estimate it for you. However, hardware meters like the one above is the most accurate way to do this! 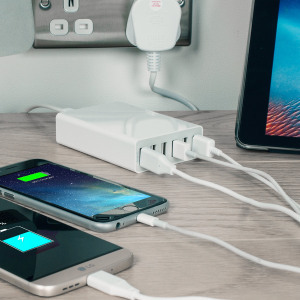 This UK mains charger provides up to 2.1A, enough to quickly charge even the most demanding smartphones and tablets. You can buy this as a Micro USB cable version for Android and Windows Phone, or a Lightning cable version that suits iPhones and iPads. 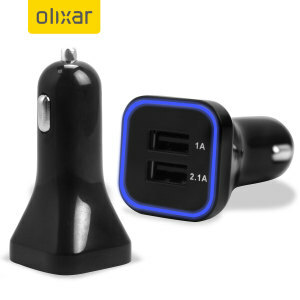 This car charger provides two USB ports: one at 1A, good for smartphones, and one at 2.1A, which can handle smartphones or tablets. Just pick up your USB-C, Micro USB or Lightning cables, plug in and enjoy rapid charging. 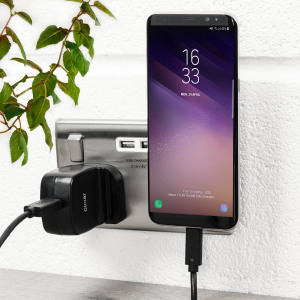 This charger supports Qualcomm’s Quick Charge 2.0 and Samsung’s Adaptive Fast Charging standards, ensuring compatible phones are charged as fast as possible — up to 3A. As a bonus, this mains charger comes with four plugs that allow it to be used in more than 150 countries around the world. 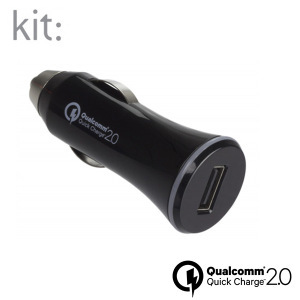 This car charger supports the Quick Charge 2.0 standard, ensuring you can get a really fast charge while driving if you have a compatible phone. It’s also small, discrete and inexpensive. This charger is designed to work with up to six USB devices at once, charging phones, tablets, power banks, Bluetooth speakers and more. It provides up to 2.5A per port to ensure rapid charging, and intelligently delivers the maximum charge rate your device supports. Great for use at home or while travelling.